and a sport driving mode. Utility will be a main theme of the Chicago Auto Show this week as automakers continue their blitz of crossovers and trucks. Among the global debuts planned in the Windy City: a freshened Acura RDX cross-over, a redesigned Honda Pilot crossover, a freshened Chevrolet Equinox crossover and the unveiling of new Ram product. Media preview days begin Thursday, Feb. 12, and the show opens to the public Saturday, Feb. 14. Here's a look at the global debuts. The RDX compact crossover, the upscale twin of the Honda CR-V, gets a freshening along with technical tweaks to the powertrain and suspension. These are the first major improvements for the RDX in three years. Ahead of a redesign slated for 2017, the aging Equinox compact crossover gets a late-cycle freshening that focuses on exterior styling. Its appearance should be more aligned with that of the larger Traverse. Chevy also will show a cosmetic package on the Silverado full-size pickup called the Midnight Edition in which most of the truck's jewelry -- including the Chevy bow-tie logo -- is blacked out. The special edition includes off-road suspension and 18-inch wheels, and will be offered in 1500 double cab or crew cab models. Chevy gave dealers a sneak peek at the truck last month at the National Automobile Dealers Association convention in San Francisco. Ford offers two Police Interceptor vehicles, a sedan based on the Taurus and the crossover derived from the Explorer. Last year, the Police Interceptor cross-over outsold the sedan version. In Chicago, Ford will show an updated version of the crossover, which is made at the company's Chicago assembly plant. With the introduction of the HR-V subcompact crossover coming this spring, Honda turns its attention to the Pilot midsize crossover. Based on the teaser photo and what Honda is saying ahead of the debut, the three-row Pilot looks to be getting an overhaul from the wheels up. The redesigned Pilot, scheduled to arrive this summer, sports a more aerodynamic look than the current version. Honda says the 2016 Pilot will offer class-leading fuel economy and advanced safety features. Two debuts are planned, a special edition of the Veloster sports coupe and the freshened 2016 Elantra GT. Both vehicles arrive at dealerships this spring. Kia calls its Trail'ster a "bold off-roader." The company plans to introduce the Trail'ster, a compact battery electric all-terrain vehicle with all-wheel drive, most likely based on the Kia Soul EV. "This bold off-roader was conceived by Kia's California design studio and built for city dwellers seeking the ultimate urban escape," says Kia. Chances of production for a battery-powered off-road vehicle: zero. But Kia may be testing the Trail'ster's styling cues and some of the powertrain components for use in a future vehicle. Two vehicles from Nismo, Nissan's motorsports and performance division, will be shown. The truck and commercial arm of Fiat Chrysler will reveal a new model. Ram is not saying what the vehicle is, truck or van. Ram introduced the Rebel version of the Ram 1500 pickup at last month’s Detroit auto show. The Rebel, designed for off-road duty, fills an empty slot in the lineup. A freshened Avalon sedan will be unveiled, along with special editions of the midsize Camry and the compact Corolla. The Camry Special Edition is a cosmetic and equipment package with special seats, wheels and instruments. 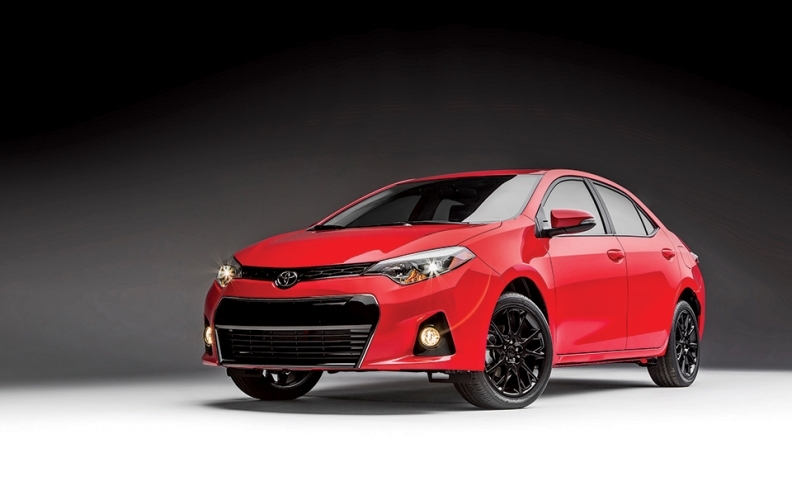 The Corolla Special Edition adds a few mechanical tweaks, such as paddle shifters, rear disc brakes and a sport driving mode.